Even though The Gifted’s mutants aren’t trying to survive in a post-apocalyptic wasteland, they are living in a dystopian world where systemic racism from within the government poses a very real risk to their lives. That’s the underlying message of a new viral ad for the show that focuses on a high school for mutant teens. Anyone who’s ever been to a private or magnet school will recognize Empower Academy—it’s the sort of place that parents who want their children to get a leg up on the college game obsess about. Small classroom sizes, modern facilities, and a diverse student body all make the school seem like a dream come true. It’s a place where young mutants can learn and grow among other kids like themselves as they go through one of the most difficult points of their lives. But as happy as the students in the commercial appear to be, there are small details here and there suggesting that all might not be what it seems. As students gather to say the Pledge of Allegiance, you can see that the classrooms are outfitted with video cameras to monitor activity. The school’s message that people are more than their powers is an uplifting one in and of itself—but as the commercial goes on, you get the sense that Empower Academy is less interested in teaching mutants to control their abilities, and more focused on ridding people of their X-gene entirely. Empower Academy’s “intensive program education, therapy, and medication” is marketed as one of the beneficial parts of a student’s time spent at the school, but the verbiage also sounds like the sort of thing you’d hear from conversion therapy centers. 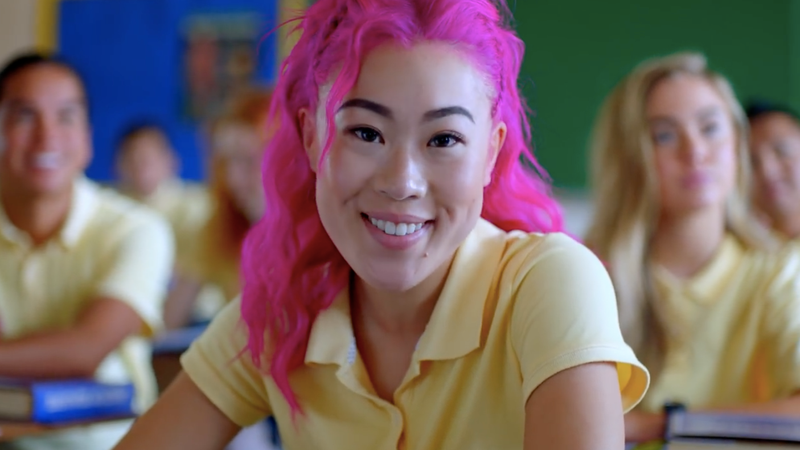 Toward the end of the commercial, a girl ominously describes to the camera how Empower Academy taught her that she didn’t have to live as a mutant—again, the sort of language commonly heard from ex-gay groups. Fox has a history of using mock advertisements to help build out the worlds its X-Men franchise has taken place in. X-Men: Days of Future Past’s apocalyptic future, for example, was directly tied to the promises made in the ads for Trask Industries’ latest Sentinel models. In their unique ways, all of these ads function as anti-mutant propaganda playing on the fear and safety concerns that humans have about people living with the X-gene. The destruction of the world’s mutant populations begins with the normalization of businesses like Trask and organizations like Empower Academy, whose ulterior motives are only but so difficult to pick up on. It’s places like Empower Academy that make The Gifted’s world a particularly horrific one for mutants. Because when the denial of basic rights is so much a part of a society’s culture that it can be baked into the school system, you’re dealing with a profoundly terrifying kind of nightmare.